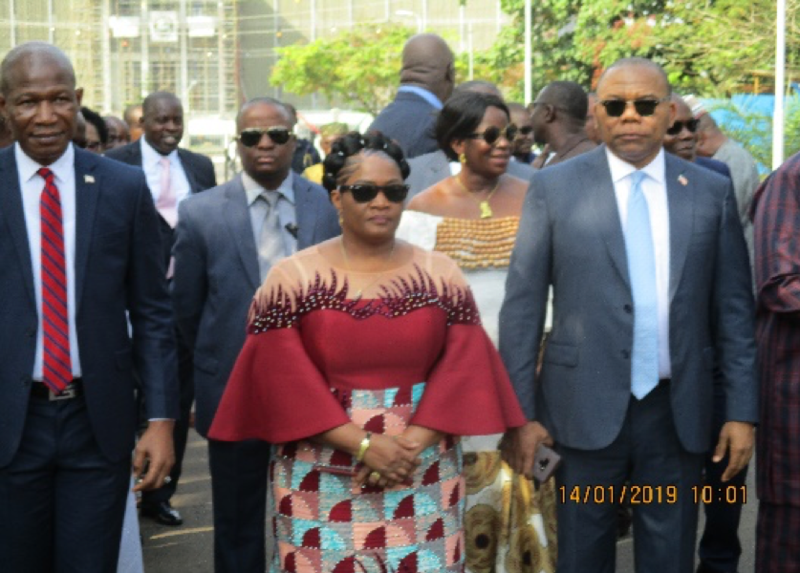 Monrovia – The glamour and excitement that come with lawmakers’ return after each constituency break, was Monday absent among lawmakers especially those from the House of Representatives as the House’s Chambers documented a record low turnout. 34 out of 73 members of the House of Representatives were present. It has been noticed that previous resumptions of duties have been greeted with smiles on the faces of lawmakers. But on this Monday, the faces of lawmakers showed that they have many unaddressed issues including delayed benefits legally due them. As it was going into recess, House Speaker Bhofal Chambers doesn’t seem to have the support of most of his colleagues. Some of them have accused him of proceeding wrongly, while others have accused him of being a rubber stamp Speaker, who only wants to implement the mandates of the President. Probably as a demonstration of their distrust, many of them stayed away from the opening ceremony. Some lawmakers including Representative Yekeh Kolubah of District #10, Montserrado County, have called for Speaker Chambers’ removal. It is no secret that the House of Representatives is divided and critics say the division could further deepen if the Speaker continues to proceed in a form and manner that could breed further division. In his opening remarks, Speaker Bhofal Chambers cautioned his colleagues to endure and brace themselves for the challenges ahead. “Our constituents and other constituencies which have placed this huge public trust on us, expect a lot out of us in their desire to have good laws and for us to exercise our functions to the best of our abilities in their best interest, so that the plans and promises intended for them to come to fruition,” the Speaker said. According to Speaker Chambers, during 2018 session of the 54th Legislature, the House of Representatives recorded 57 regular sittings, 43 executive sittings, six special sittings and 15 extraordinary sittings, thus totaling 121 sittings. “Also, during the year 2018, we were able to pass 26 bills and eight resolutions in the best interests of the Liberian people. Amongst those bills and resolutions we acted on, nine originated from the House of Representatives, five were received from the Liberian Senate and concurred with; 12 bills were passed out of 17 bills originating from the Executive and eight legislative resolutions were acted on. Amongst those bills in committee rooms, 30 are from the House of Representatives, four from the Liberian Senate and five from the Executive. Other documents awaiting legislative actions are 10 petitions and four resolutions.